Since I've been to Stonebriar Centre, I guess I can say that I've been to Uzbekistan? We had a brunch, with a cereal bar, donuts, mini quiches and fruit. I broke out my Fiestaware and love how festive the tables looked! CC pouring milk onto her "suicide" bowl of cereal...remember how, as a kid, you would take a shot of every flavor of soda from the fountain into your glass? She did that with all of the cereal. I think having Cap'n Crunch, Froot Loops, Cinnamon Toast Crunch, and Cocoa Puffs brought out the kid in all of us! 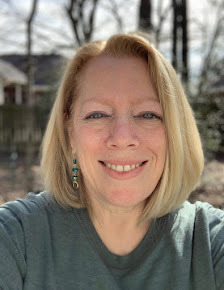 We played several games and then Cary opened her gifts - this picture made me laugh when I uploaded it later, because there was an errant roll of toilet paper in the background! Yes, we designed wedding dresses out of toilet paper, and created a backstory for each one. My team did a Vegas dress for the bride on her seventh wedding! It's Memorial Day weekend here in the United States, which means Monday is a holiday. We have plans, so I'll be back on Wednesday - hope that won't mess up those of you who know what day it is by my posts, LOL! Have a great weekend! What a beautiful job you guys did what that shower - and how fun to be able to use your Fiestaware! Have a great long weekend - I hope you are doing something fun, fun, fun! What a fun shower and so colorful and festive! 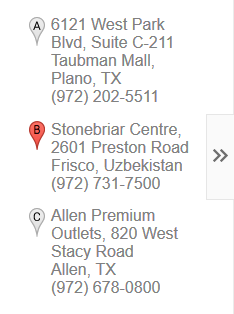 We shop at Stonebriar regularly...it's kind of a long drive, but I never realized it was all the way to Uzbekistan! Have a great long weekend. Yes, the shower decorations look like they were chosen for a fiesta ware party! So fun. Also, I love the food you chose--fun and yet relatively simple. The war over Jeff is totally hilarious. I think it needs to be a regular Friday feature. I just didn't get a picture with CC and Loretta at the party - they are my short friends. One of these days we'll have to do a line up shot, shortest to tallest, after a run. There's over a foot difference! 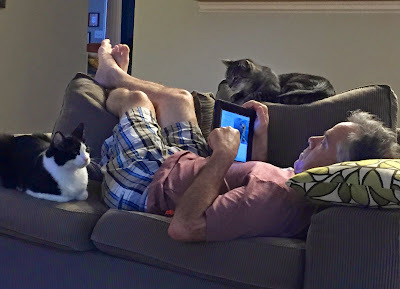 The cat war would be a funny feature. It's pretty hilarious in real life - wish I could think of some good thought bubble captions for the pictures. What a lovely and festive bridal shower! Love the cereal bar idea. Have a wonderful Memorial Day Weekend. Adorable shower décor! Love the picture of you in the group shot. And of course, the war over Jeff is so funny. Hahaha Uzbekistan! 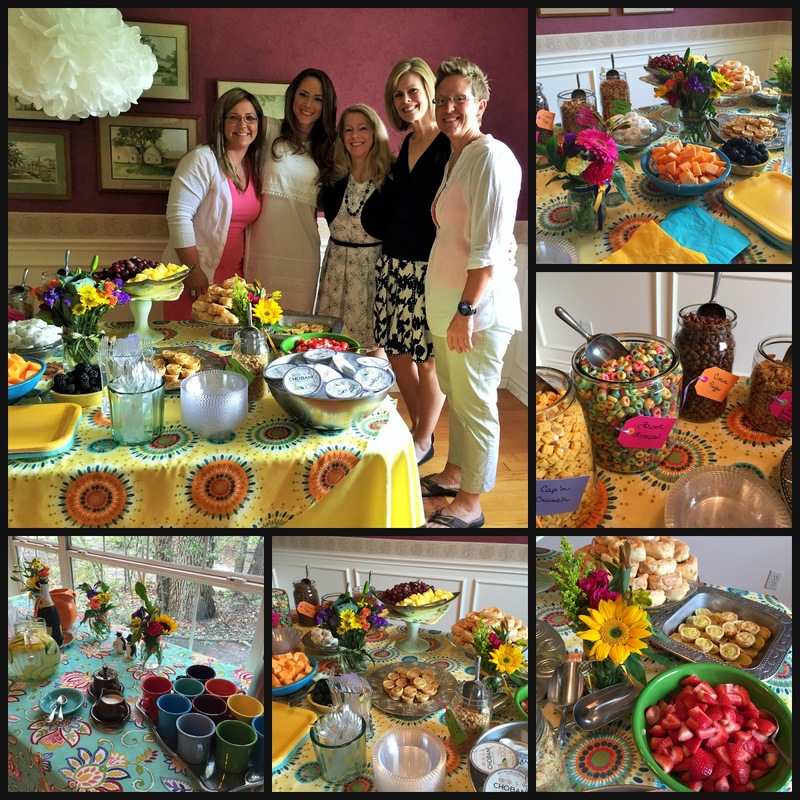 It looks like you all had a lovely time at the bridal shower - and it does look lovely and delicious!!! Your cats are hilarious. I never got too daring with my suicide sodas--I think the "craziest" I ever got was mixing Dr. Pepper and Diet Pepsi! Haha. I never had a bridal shower. They do bachelor parties here but hardly ever showers. Yours looks like so much fun and the tables look so colorful. Hope you have a great day today. We are having a holiday too here so am enjoying a day off too. What a wonderful bridal shower. And LOL at Uzbekistan!! Love how the shower turned out! And when I was doing WW way back when I used to eat Kashi Go Lean with 1/4 cup of Lucky Charms - so delish!